So You Think You Can Mom? 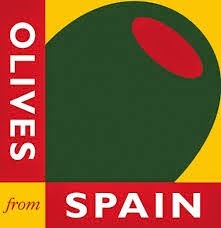 : Interview: Chef Annie Sibonney and Olives from Spain! Interview: Chef Annie Sibonney and Olives from Spain! Chef Annie Sibonney is a Cooking Network star and Spanish cuisine expert on all things entertaining and olives. She is a self-taught chef and expert on world gastronomy. Annie Sibonney has traveled the globe in pursuit of culinary treasures and extraordinary experiences. Annie is the Co–Creator and Host of From Spain with Love, an award winning, critically acclaimed, food adventure TV series, which immerses viewers in the rich and diverse culinary culture of Spain, produced for Cooking Channel US and Food Network Canada. Annie is also the Co-Creator, Co-Executive Producer and Host of One Night Stand with Annie Sibonney, a culturally compelling and adventurous travel series where for just ONE NIGHT, she explores the food, culture, produced for Discovery World. During harvest in September and October, olives are picked one by one to avoid damaging the fruit. Spain’s sunny weather, temperate winters and rich, fertile soil are idyllic for growing the perfect olive. Chef Annie has definitely inspired me to create a few new recipes using Olives from Spain and I can't wait for my family to try them.